Did you know…..Floods are the #1 disaster in the US…and….Homeowners Insurance policies do not cover flood damage? No matter where you live, you live in a flood zone and can benefit from a Flood insurance policy. If you are in a low risk area, you may be eligible for a Preferred Risk Policy that can cost as little as $150 per year! Flood insurance is provided by the National Flood Insurance Program (NFIP) administered through the Federal Emergency Management Agency (FEMA). Our Flood Specialists are versed on the most recent changes regarding Flood Insurance zoning and coverage and will create a customized policy just for you. Personal Flood Insurance is available to everyone whether you own a home, condominium or rent a home or apartment. Just a few inches of water damage can result in a significant amount of damage. 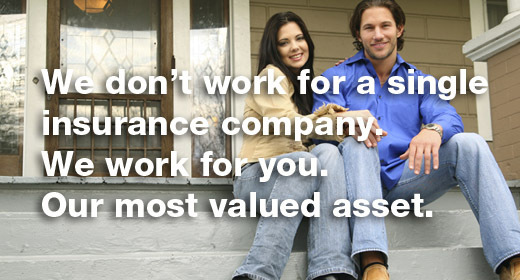 Let us provide you with the coverage you need. If you are interested in obtaining additional information or a flood insurance quote, please click on the link below or call us at (908) 232-0760.